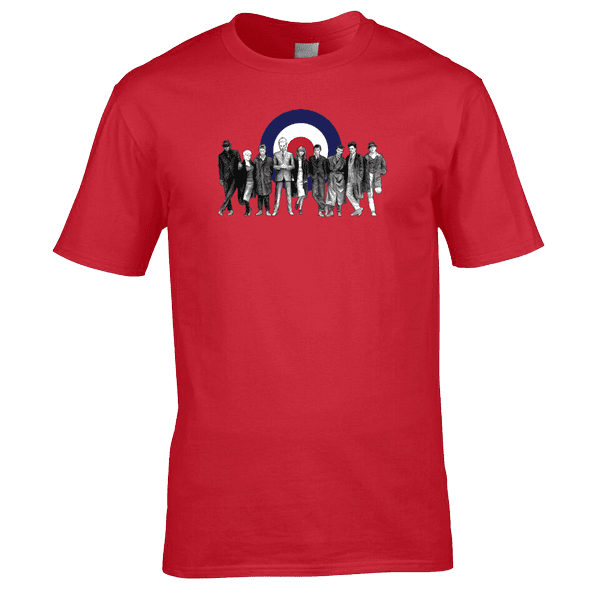 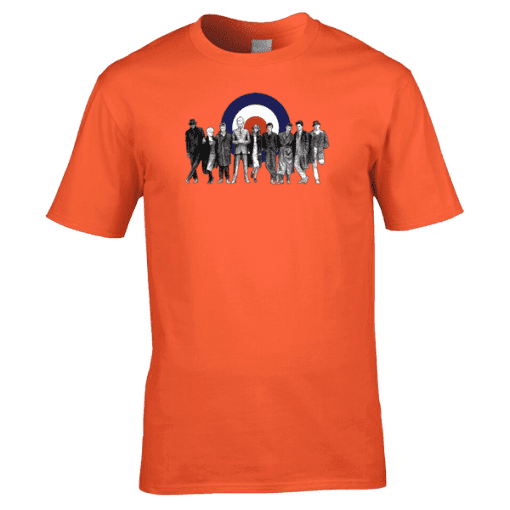 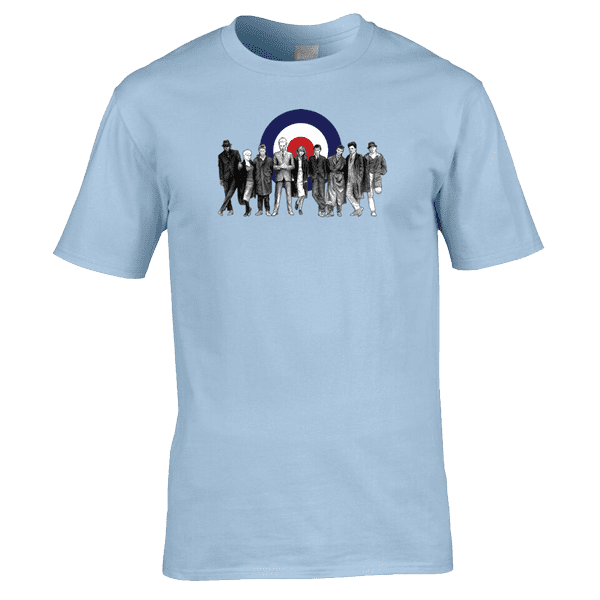 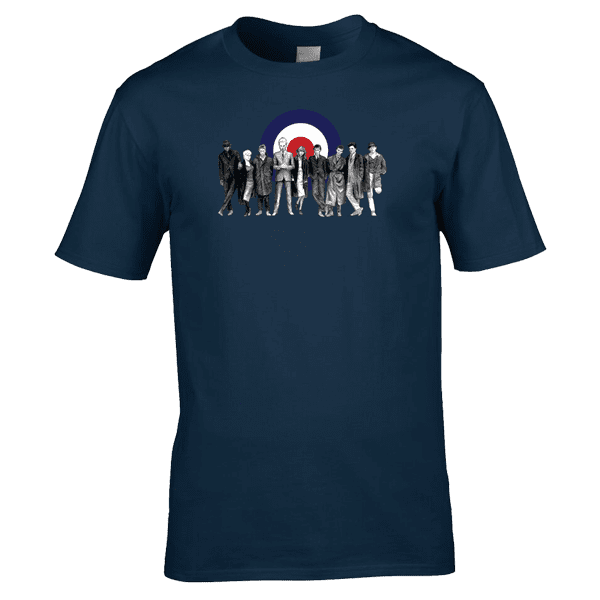 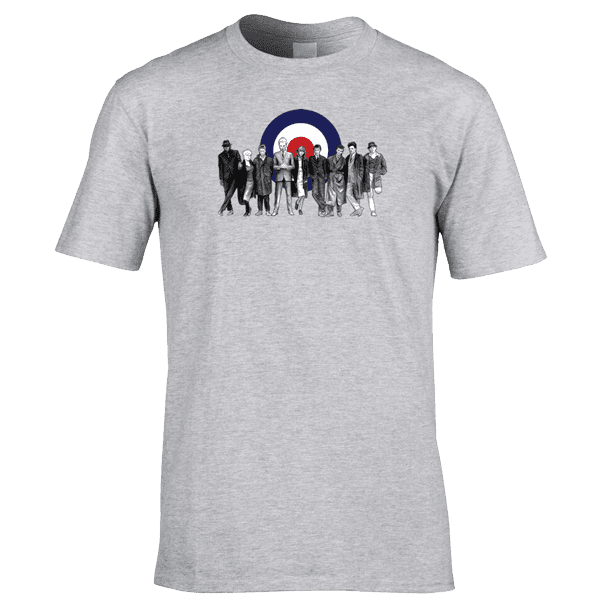 This T-Shirt features the Cast Of Quadrophenia including Jimmy and has been drawn in pencil by Mark Reynolds. It also features a Mod target behind the characters. It is exclusive to Mr Art and can only be purchased here. Quadrophenia is a 1979 British drama film, loosely based on the 1973 rock opera of the same name by The Who. 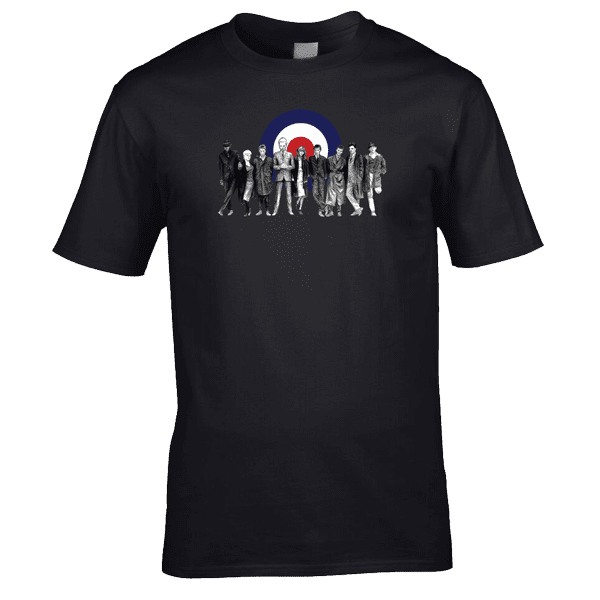 The film, set in 1964, follows the life of Jimmy Cooper, a young London Mod. Disillusioned by his parents and a dull job as a post room boy in an advertising firm, Jimmy finds an outlet for his teenage angst by taking amphetamines, partying, riding scooters and brawling with Rockers, accompanied by his Mod friends Dave, Chalky and Spider.